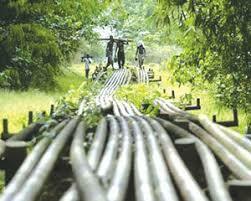 Federal government promises to look into thirteen percent derivation benefit to Niger Delta – Royal Times of Nigeria. President Muhammadu Buhari says his administration will look into the constitutional 13 per cent derivation benefit to the Niger Delta region and ensure even spread of developmental projects across the region. The president made this promise on Friday when he received Isoko traditional rulers in Abuja. He assured the royal fathers that the constitutional provisions for Niger Delta development will be carefully studied for inclusiveness, especially in the prioritization of Federal Government projects. 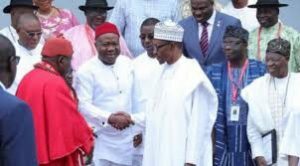 The President General of the Isoko Development Union, Mr Iduh Amadhe, who spoke on behalf of the Isoko leaders had earlier asked President Buhari to consider some anomalies in the spread of development projects in the Niger Delta. In response, the president noted that the Isoko kingdom had qualified citizens who have distinguished themselves in various professional and entrepreneurial skills in the country. He, therefore, promised to look into the matter.